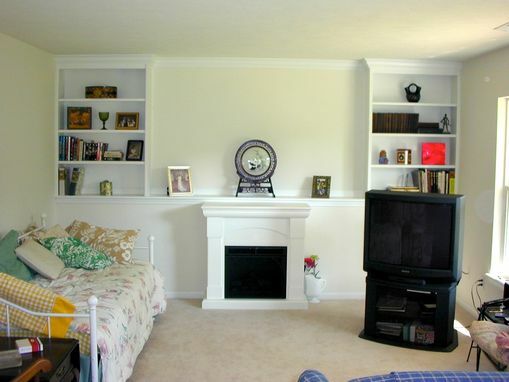 As the before and after photos show, these built-in shelving units with matching crown molding trim work met the requirements of a discerning customer; the built-ins and crown molding trim work had to blend with the recently completed condo that had been purchased. 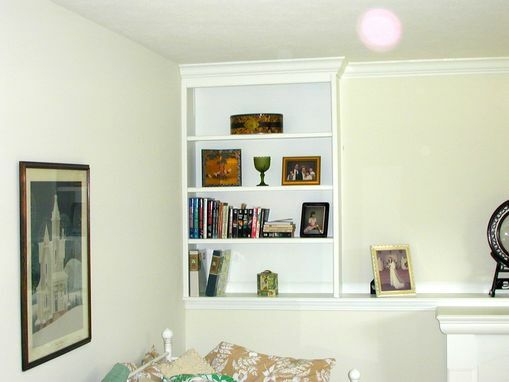 The shelving units and shelves were constructed of birch plywood while the crown molding trim was made from poplar. 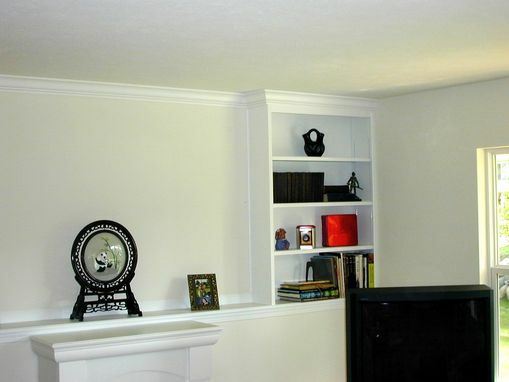 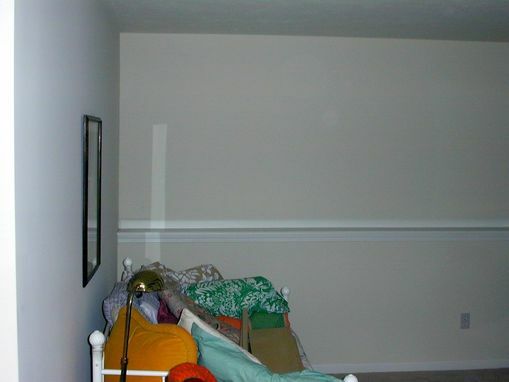 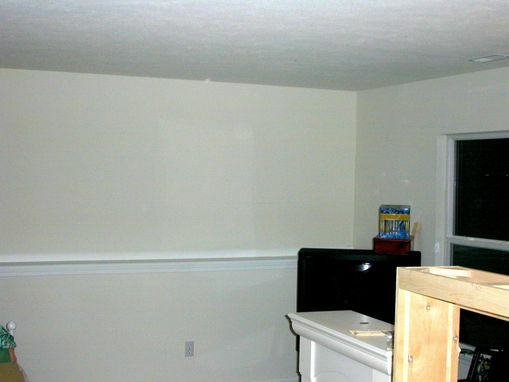 At the customer's request, the shelving units & trim were primed before installation.